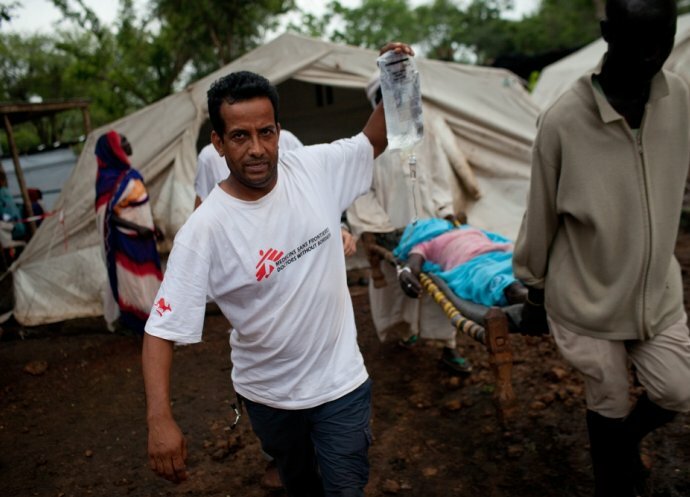 In 2015, over 35,000 Médecins Sans Frontières (MSF) staff from all over the world provided assistance to people in crisis. Our field teams include doctors, nurses, midwives, surgeons, anaesthetists, obstetricians, paediatricians, epidemiologists, psychiatrists, psychologists, pharmacists, laboratory technicians, logistics experts, water and sanitation engineers, human resource managers, financial administrators and numerous other support staff. All our staff are professionals who choose to work for MSF because of a commitment to and concern for people’s health and survival. More than 80 per cent are recruited in the countries where the programmes are, and they work alongside our international staff. We recruit field workers from Australia and New Zealand through our Sydney office. In the MSF Australia office we have field human resources, fundraising, communications, advocacy, domestic human resources, and finance teams, as well as numerous volunteers, all contributing in making sure MSF can provide effective medical assistance to the people who need it most. Our Australian office also hosts the Sydney-based Medical Unit, a team of professionals who provide specialised expertise in all areas of Women's and Children's Health. The team give medical support and strategic advice to MSF operations and field projects and are responsible for the development and implementation of clinical protocols, guidelines and training. They are part of other specialised medical and logistical departments within MSF, ensuring that innovations and advances in research are incorporated into our work in clinics and hospitals around the world.